Wishing you every happiness for the season. I was looking through your blog, and I found it interesting, and inspiring to me, so I thought why not post a comment. I have blogs also obviously, and would like to invite you to become my blog friend. I mostly post about the California experience through the perspective of personal writings, and my art. Maybe you can become my friend, and follow, and I can also follow you, if that is okay. oh how I love that last couple lines of this post! Such cute sweet decoration for Easter too! I love the ladder. 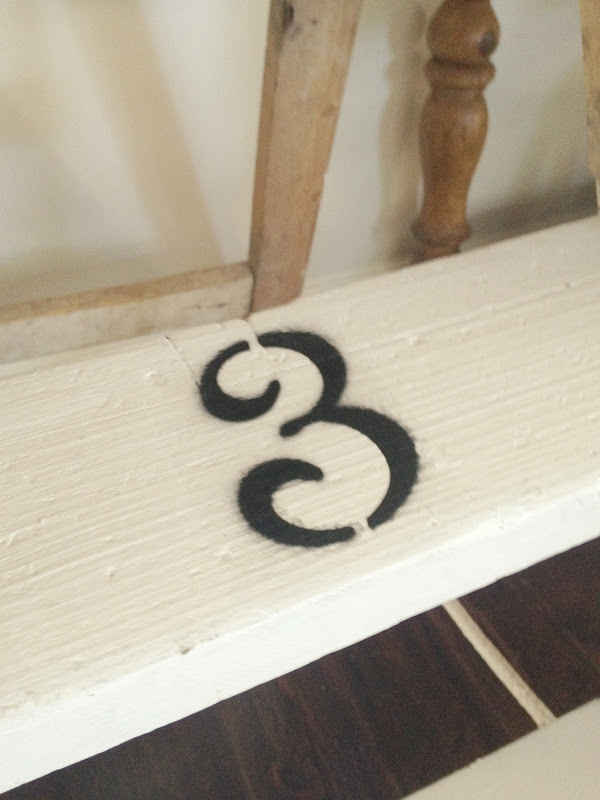 I have one that I used to paint a rental and now I need to 'fix' it so those numbered steps are on my new list of things to do!!! Happy Easter to you all too Melissa. I fear I'm taking on the doughy shape of a hot cross bun, so many have I consumed already! 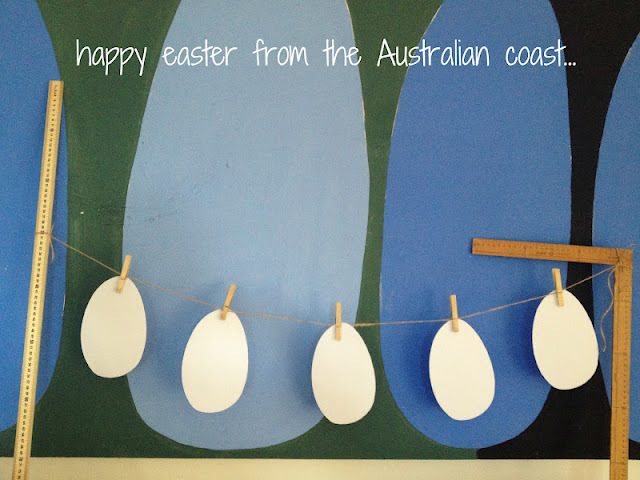 Hope you have a lovely beachy time! PS Love the doily eggs! Pleased you weren't sacrificing your wedding dress though! happy easter to you and your sweet family, melissa. we are enjoying a nice, LONG weekend. love it! Happy Easter to you and yours Melissa! 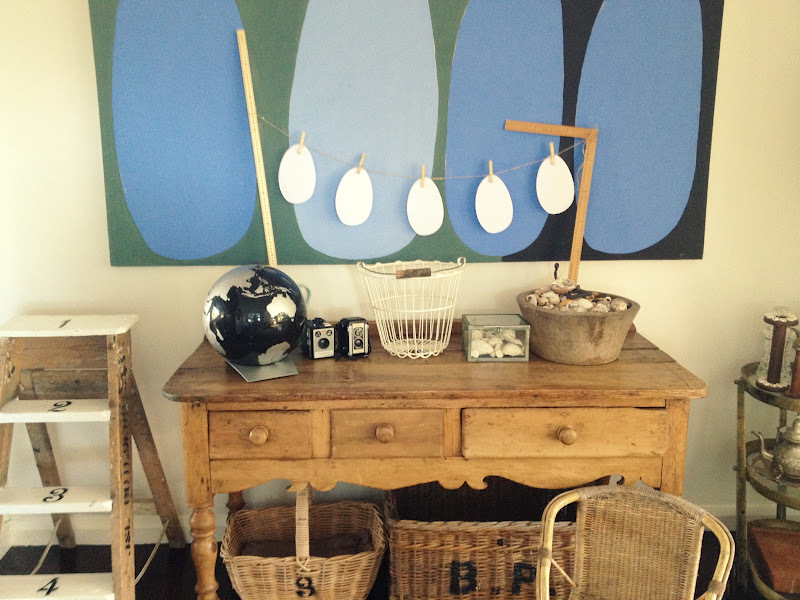 Love the shells, the baskets, the timber dresser and ladder and of course your simple, sweet decorations. Totally love these little simple eggs! Happy Spring! Hope your Easter was fantastic! nobody else know such detailed about my problem. You're amazing! Thanks!